The most popular commercial jet in the sky just got a makeover. Boeing just rolled out its first 737 MAX, an updated version of its most popular passenger jet, the 737. The 737 MAX will be 40% quieter than its predecessor, and also about 20% more fuel efficient. The new planes will make test flights earlier next year, and be delivered to airlines starting in 2017. The 737 first debuted in 1967, and is by far the most common plane in the world. In fact it's the only plane used by some airlines, notably Southwest (LUV). Boeing (BA) has delivered nearly 9,000 737's over the last 50 years, and it currently has orders for nearly 3,000 of the new 737 MAX from customers including Southwest, United (UAL) and American (AAL). Boeing is actually still producing the old 737s, and plans to keep delivering them for the next five years, even as it ramps up production of the 737 MAX. The 737 MAX is being built at a unionized Boeing plant in the Seattle metro area. 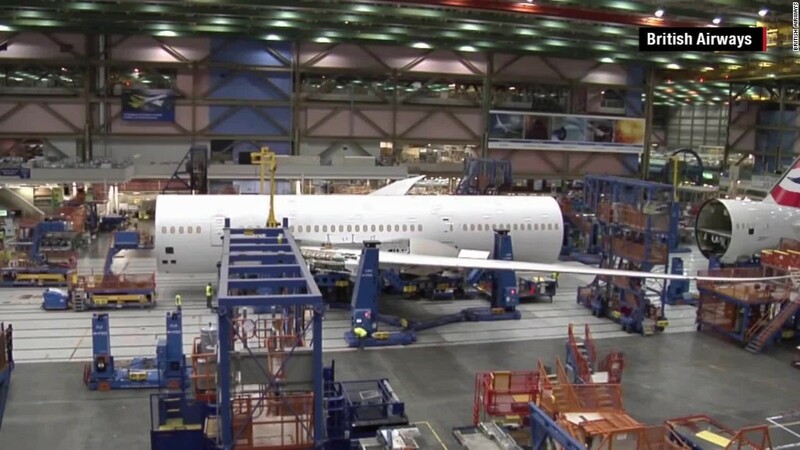 Boeing had considered building the new model at a new nonunion plant, but a labor deal with the Machinists union four years ago kept the plane in the Pacific Northwest. Notably, the first 737 MAX was actually completed on schedule. Boeing's production of some of its other planes, like the 787 Dreamliner, was dogged by years of delay before it was put into service.